After a blistering performance at Woodstock in 1969 and a great chart run with Mississippi Queen & their first album Climbing!, Mountain roared back a year later with their stellar masterwork Nantucket Sleighride. 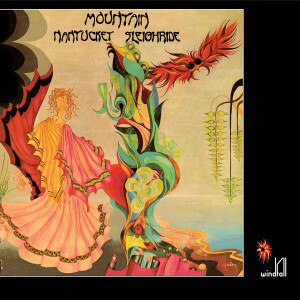 Featuring the legendary Leslie West (guitars/vocals), the late Felix Pappalardi (bass/vocals), Corky Laing on drums and the late Steve Knight on keys, Mountain were one of the biggest super groups of the seventies as the 9 stellar tracks on this Lp will attest. In addition to the brilliant title track, the Lp opens with one of their biggest hits Don’t Look Around, along with the hard rockin’ You Can’t Get Away. Other fan favorites include The Animal Trainer and The Toad, as well as the album closer The Great Train Robbery.